The first official Everly Events wedding is not until July but until then, I am having so much fun getting back all of the amazing engagement photos for all my couples who are getting married later this year, I can only imagine how great the wedding photos will look like! This next engagement sessions features one of my sweetest and darling brides ever, Brooke, who is marrying her charming and handsome high school sweetheart, Andrew. 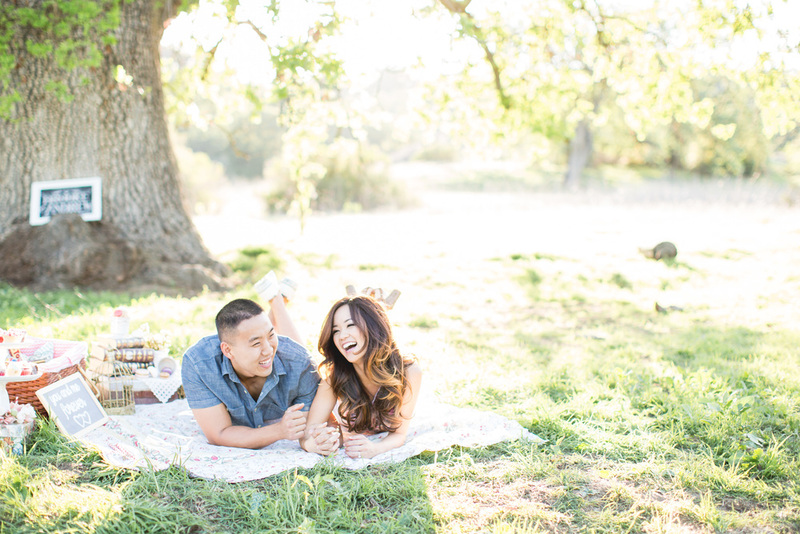 These two lovebirds will be getting married in July this year in Malibu, California at the beautiful Calamigos Ranch. 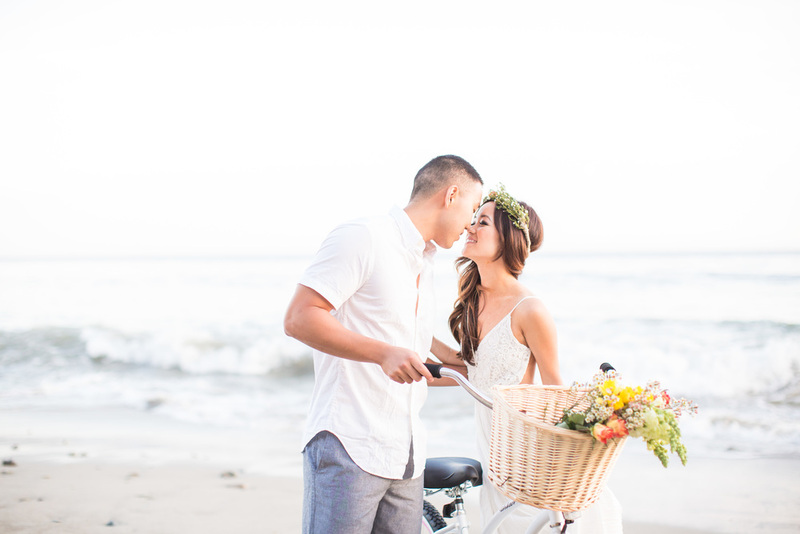 Their photos were shot by the talented husband and wife duo, John and Marlene of Koman Photography, who are two artists who specialize in imagery that is soft, romantic, organic, and so effortless. To top it off, Brooke herself designed and provided all of the adorable props and details for their shoot, see for yourself!